Certain iPhone 5 smartphones are eligible for free battery replacements, Apple says. 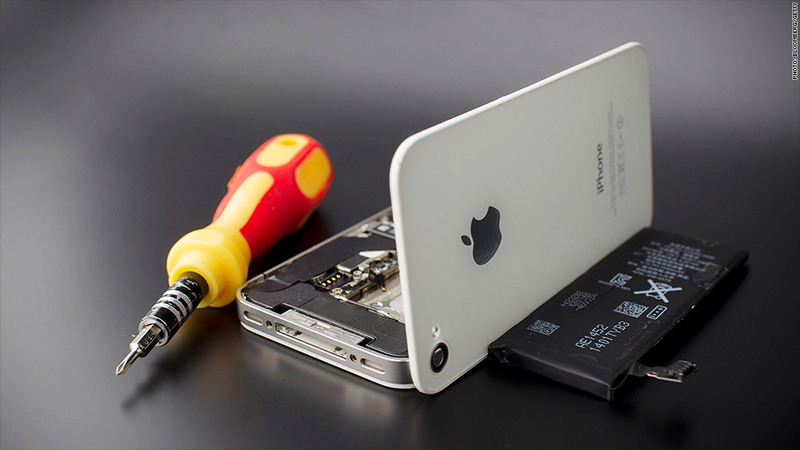 Having trouble with your iPhone 5 battery? You might be eligible for a free replacement. Apple (AAPL) said "a very small percentage" of iPhone 5 smartphones may "suddenly experience shorter battery life or need to be charged more frequently." Don't get too excited just yet. After a year or two, everyone's iPhone battery seems to carry less juice than it once did. But Apple's repair program is limited to certain customers in the United States and China. Only iPhone 5 smartphones sold between September 2012 and January 2013 are eligible, and only those that fall within a certain range of serial numbers. Apple has opened a website that allows people to determine whether their phones are eligible. (To access your serial number, tap Settings > General > About > Serial Number). Apple announced an even smaller iPhone 5S battery recall program last year. In June, Apple issued a recall in 37 countries for European iPhone chargers that were overheating.